This nougat is intensely sweet, nutty, delicious, and moreish. It’s simply too moreish to keep a whole batch in the house so I would recommend you make this when you have a gift-giving occasion! 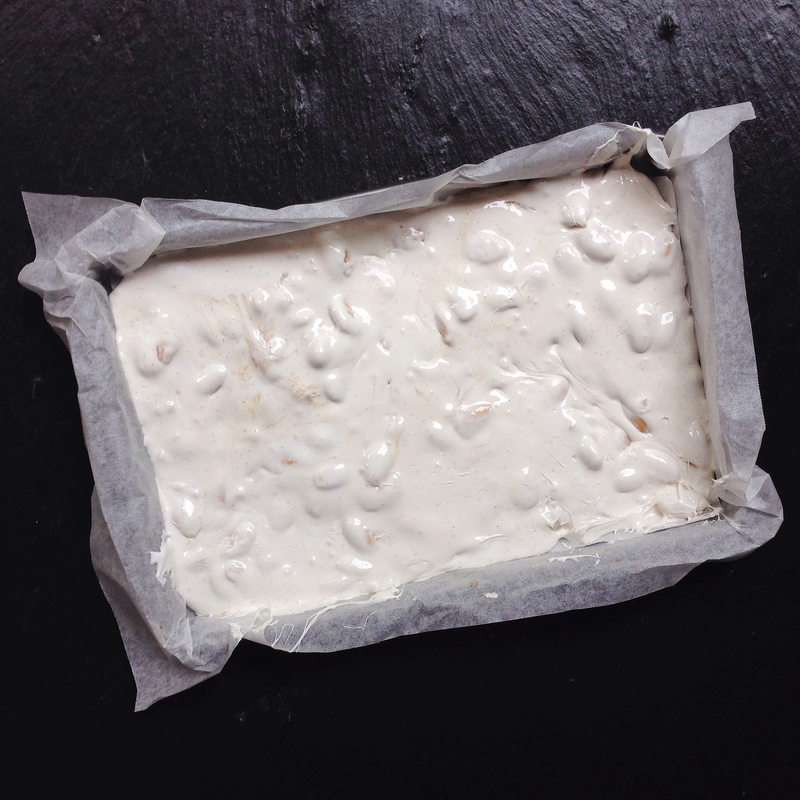 I made this nougat as a further experiment with chickpea water after the success I had with Egg-Free Meringue. Of course, you could easily use egg whites if you prefer and the recipe below includes this option. I used the brine from two 125g cans of chickpeas. Each can yields approx 40g (or so) of chickpea water which is the same weight as one egg white. 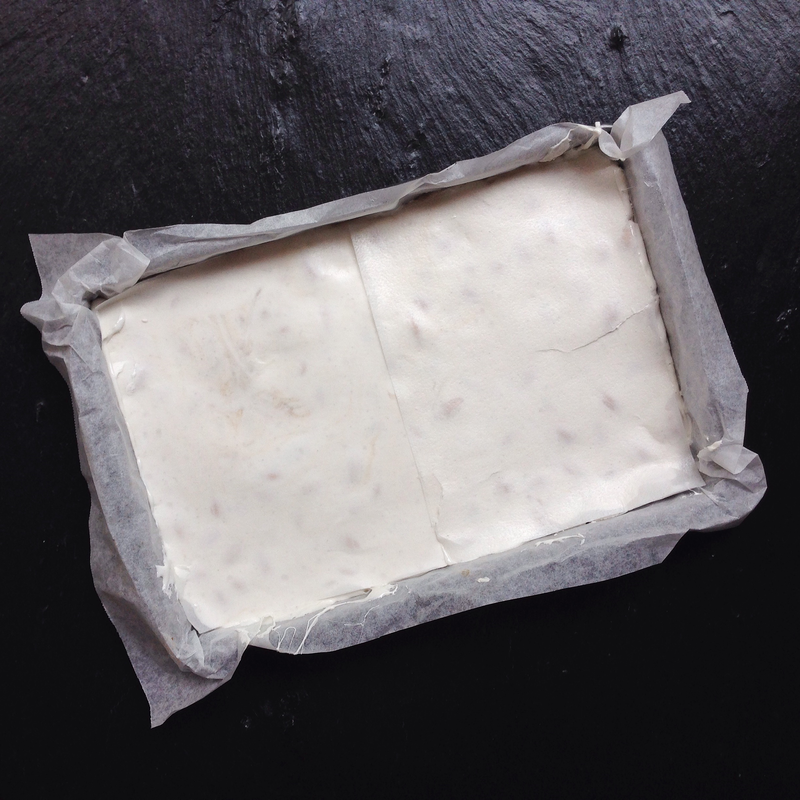 I’ve never made nougat before and I wasn’t sure if it would work with the chickpea water so I picked the most basic nougat recipe I could find. The results were delightfully successful and I am looking forward to trying some other flavours, such as Almond and Honey or Pistachio and Rosewater. What is your favourite type of nougat? 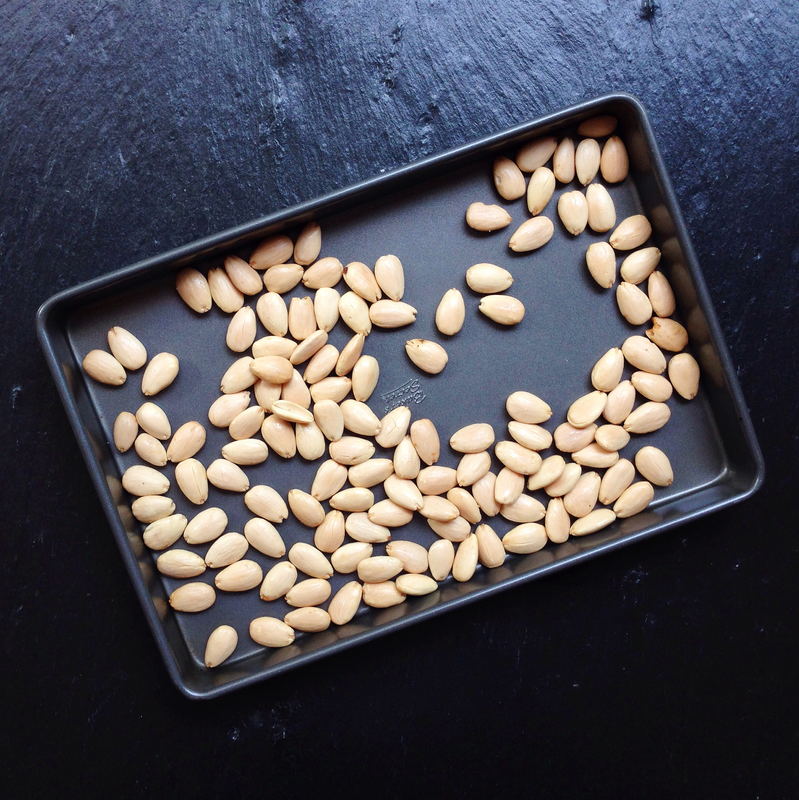 Roast the almonds in the oven preheated at 170C (350F) until lightly golden (about 7-10 minutes). 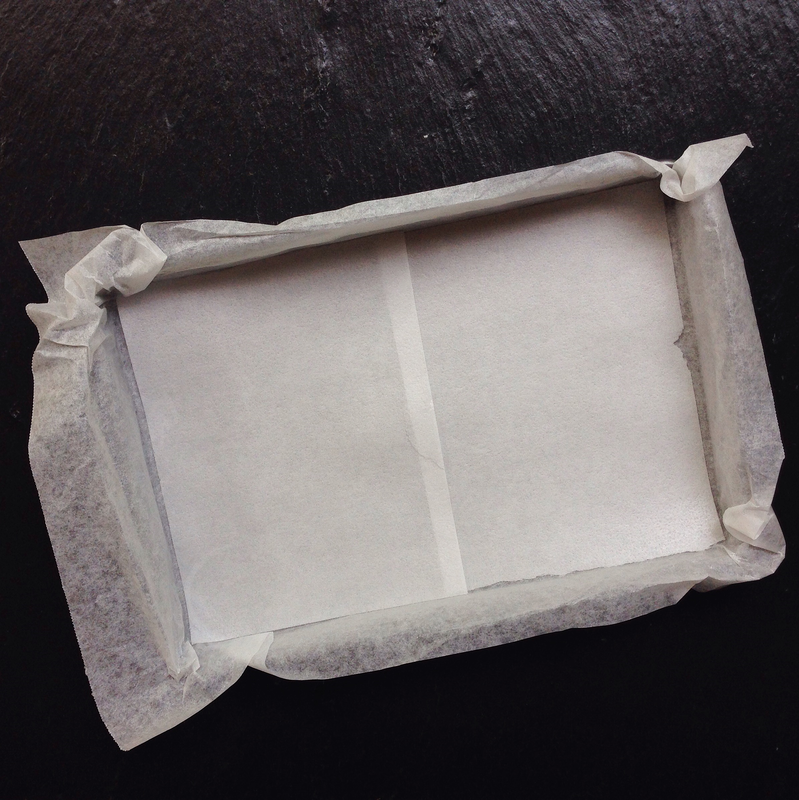 Line a 18 x 28 cm tray with baking paper; the paper should overhang the sides. Trim four pieces of rice paper to fit the tray. Place two of these on the bottom of the lined tray. The remaining two will be placed on top of the nougat. Place the sugar, water, and glucose syrup (or corn syrup) in a medium saucepan and on a medium heat. Occasionally stir and brush down the sides of the saucepan with a wet pastry brush until the sugar dissolves. It takes a while (about 10 minutes but feels much longer)! Place a sugar thermometer in the saucepan, increase the heat, and bring to the boil. Don’t stir. When the sugar syrup reaches 120C (250F) start whisking the chickpea water (or egg whites) until firm peaks form. Fill the kitchen sink with about 5cm of cold water. This will be used to stop the temperature in the sugar syrup from rising further from the desired temperature. When the sugar syrup reaches the desired temperature (140C (285F) for a chewy nougat; 150C (300F) for a hard nougat) remove the saucepan from the heat and place the bottom of the saucepan in the cold water for about 5 seconds. With the standing mixer on a medium speed, gently pour hot sugar syrup in a thin steady stream directly into the whipped firm peaks. Continue mixing until the mix looks thick and glossy. Add the vanilla and beat until just combined. Stir the almonds by hand using a wooden spoon or spatula. Be careful as the sides of the bowl will be very hot but work quickly before the nougat sets. Pour the nougat into the prepared pan and smooth it out using a clean spatula (it helps if the spatula has been dipped in hot water). Place the remaining two pieces of rice paper on top and press down; smooth and even the nougat as best as possible. Set aside to cool and set for approx 6 hours (I stored my nougat in the fridge). Once set it may be cut. I found it quite difficult to cut so I simply scored a line down the short side and snapped it off before cutting the strip into smaller pieces. Store in an air-tight container with the pieces separated by baking paper. Best stored in the fridge, especially if you live somewhere humid. Posted in Sweet TreatsTagged dairy free, egg free, gluten free, nougat, veganBookmark the permalink. Oh my! Your nougat turned out so well! This chickpea water/egg white thing is so interesting isn’t it? 😀 I love that you made nougat with it. Will you try it with other things? i did this today but it did not urn out as in your photo. when it cooled it crumbled! Sorry to hear it didn’t turn out as expected! Did it taste ok? Perhaps the temperature of the sugar syrup was too high?! Taste was excellent. Temp was 140 exactly. Used to make nougat umpteen times but with egg whites. Now I won’t use that anymore. It took me a little practise to get the hang of sugar thermometers, in particular to be measuring the temperature of the sugar syrup and not the bottom of the saucepan. However if you’ve made nougat many times you would already know how to use them correctly! So I’m not sure what went wrong with your batch. I’ll make the nougat again to make sure the recipe is right! Thanks for reading and for the feedback!! Me too am trying again. I’ll let you know how it went and yours too if you don’t mind. Thanks for the help. I did this again today. It turned out perfect. The culprit was the glucose. Was not good probably outdated or whatever. I tried making this and it didn’t turn out. The glucose syrup separated from the chickpea eggehited. Do you know why this would happen? How disappointing! I’m sorry to hear that it didn’t work out for you. 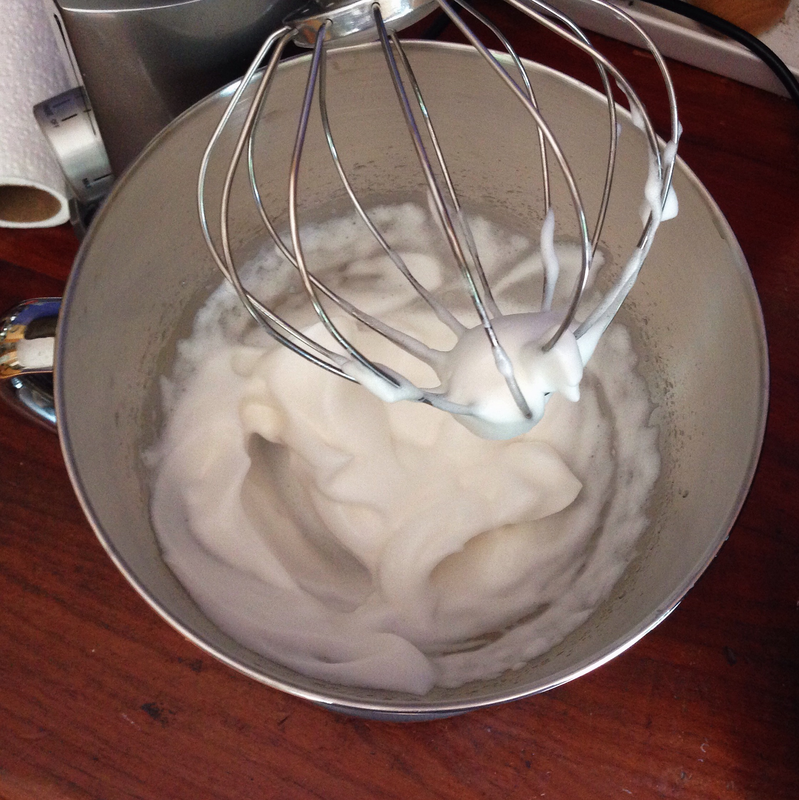 Perhaps the aquafaba wasn’t whisked enough, or maybe the glucose mix wasn’t the right temperature. I found sugarwork took a bit of practice to get right. I think you just made me dreams come true!!! This candy (which I know as turrón alicante) was traditionally only a Christmas treat in our family. But I haven’t had it in more than 10 years, since becoming vegan, and never thought I would again. Thing is, I’m in the U.S. and I’m not sure what glucose syrup is called here (if we even have an equivalent). We have corn syrup, but my Googling revealed that it’s not exactly the same. Any chance you could post a picture of your glucose syrup that shows the ingredients or anything it says about it that could be pertinent (like, % of glucose, maybe)? They advise that the glucose and corn syrups are interchangeable. Let me know how it turns out- good luck!! Tried this out this evening, but I noticed that when whipping the chickpea water in the mixer it bubbled and slowly began to build up, but never close to the degree of the photo you showed. I began to mix in the sugar because it was up to temperature, but my nougat is currently almost clear whereas the last two photos you showed are almost white. It’s also worth noting I used corn syrup and substituted pecans. How long did you have to whisk the chickpea water to get it to froth like that, do you think I simply didn’t give it enough time? Do you have any insight and/or tips/tricks? Hi Jenna! Corn syrup and glucose syrup are the same thing, so that wouldn’t have made any difference to the outcome. From what you have written, I think it is likely that the chickpea water wasn’t whipped enough. Whenever I have whipped chickpea water it has always formed soft peaks fairly quickly; probably about the same amount of time as egg whites. 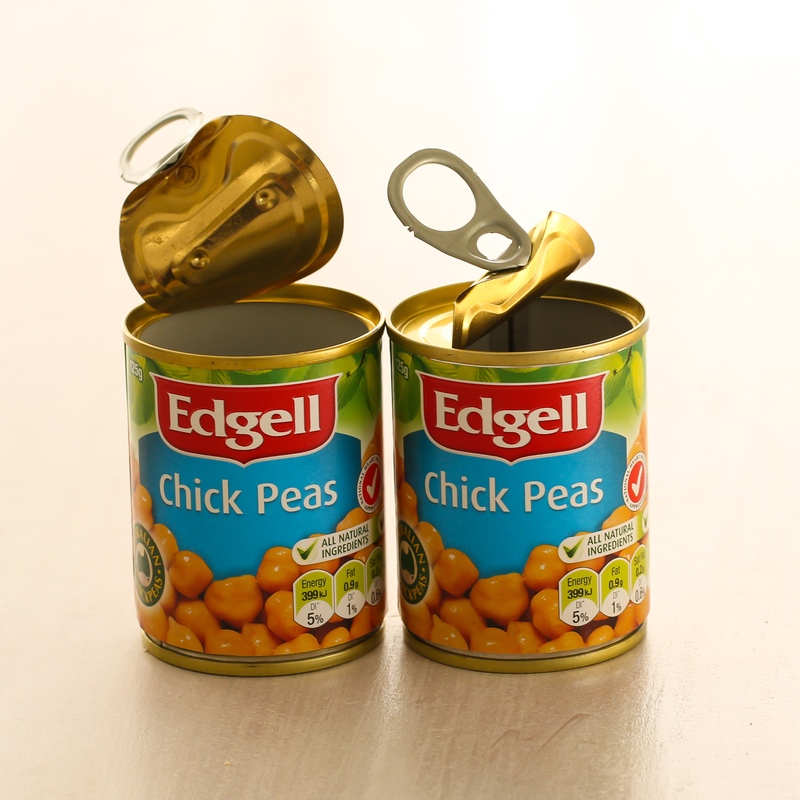 I have always used the same brand of chickpeas – Edgell – perhaps there is a variation in the brands. I might try a different brand next time to see if there is a difference. I had a few failures with sugar work when I first started out; it takes a little practise. Please don’t be discouraged! Thanks for trying the recipe and sharing your experience! Hi – thanks a lot for the recipe! I tried it a couple of times, doing basically the same thing (the same sugar temperature etc). One time it came out great, but other times in came out too liquid. It seems that after adding the hot syrup, the chickpea foam sort of collapse and become less firm and more liquid…What can cause this? 1. Wipe down the bowl and beater with white vinegar before you start. This is supposed to remove any residual fat/oil which may be left in the bowl. 2. Add a pinch of cream of tartar to the whipped chickpea water before adding the sugar syrup. Cream of tartar may help to stabilise it. Thanks for making the recipe and sharing your experience! I hope this help. Thanks for visiting! Hii, can u please tell me what is the significance of using rice paper?? Do we need to peel it off after the nougat cools off?? Doesnt it affect its taste?? Hello! The rice paper is edible and tasteless. Nougat is very sticky, even when cooled, and the rice paper helps with handling it. The rice paper used is a confectionary product (not to be confused with Asian rice paper rolls) and may be found in cake decorating shops or continental delicatessens. If you can’t find it maybe try using sturdy baking parchment that has been well greased. Good luck with it! Let me know how it goes! Thanks for visiting! Rice paper is essential for this because it sticks so bad to anything. It is eaten with the sweet and not peeled off. It doesn’t affect the taste. It is tasteless at least the brand we buy. what other kind of paper can be used instead of rice paper? I am alergic to rice and gluten-free 😦 Any ideas? Try a thin layer of cornflour/cornstarch. Hope you’ll succeed. Hello! Use the chickpea water straight from the can (no straining or reducing required). Room temperature is best. Wow, never heard about that chick pea water thing. For me as a 95% vegan, that´s a great tip. Thanks! Hi there , I am sooo excited to try this with some macadamia nuts from our tree for christmas pressies this year . I have 2 questions please . Firstly, how do I use the sugar thermometer so that it isn’t just reading the saucepan bottom temp and secondly, how long does this keep and what is the best way to store it ? Hi Jenjen! It takes a bit of practise to use a sugar thermometer correctly. Most have a clip so that it can be attached to the side of the saucepan. It’s important that the top of the thermometer isn’t sitting on the bottom of the saucepan. The nougat is best kept in the fridge, especially if you live in a humid climate. Good luck with making it and thanks for visiting! I have no idea where to get rice paper, and online delivery is very expensive where I live due to extra tariffs, what happens if you don’t use the rice paper? Does it stick to the baking paper or can you peel it off? Hi Nicole. Rice paper is a specialty product and can be hard to find. Have you tried eBay? I have seen online where people have improvised by using well-oiled baking paper or baking paper with a generous layer of cornstarch. I personally haven’t tried these options so I don’t know how well it would work. Bare baking paper will just stick thoroughly; nougat is a very sticky sweet. Thanks for visiting! 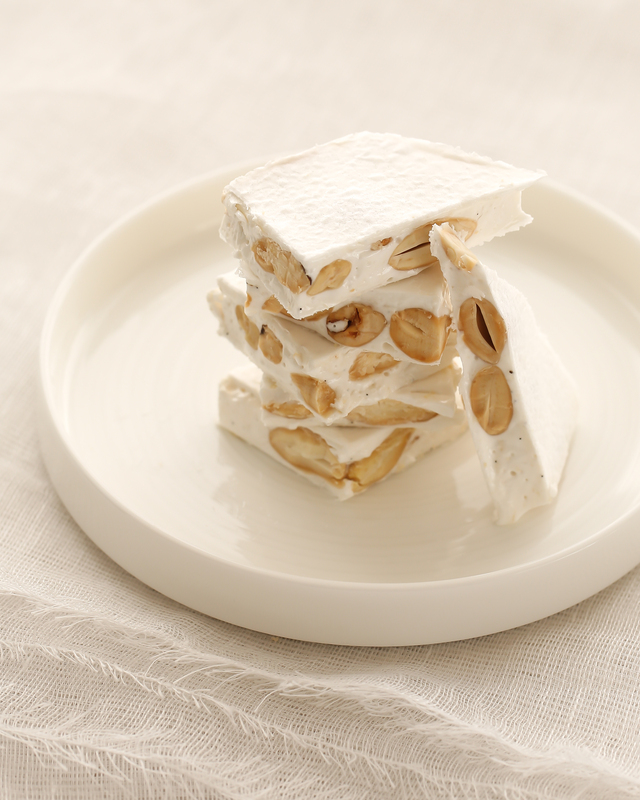 Have tried nougat many times with egg whites and found its always too sticky and un manageable. i see the local firms in RSA have about a year shelf life and do extensive exports -Sally Williams and Wedgwood. Both use eggs and i want to go vegan so would use chick pea water. Is it also okay to soak chick peas overnight and use the water? I see on the net someone says that chick pea water is highly toxic! Have you heard this? lastly what about vegan fudge recipe? Hi Angus! I’ve only ever used the chickpea water from the can. I can’t advise if soaking water would work. The canned chickpea water is slightly viscous, and a bit salty, so I think it would be quite different from soaking water. I doubt that it is toxic. I haven’t died yet! And I haven’t read any reports of this new trend of chickpea water killing people. Perhaps it is just an urban myth. This recipe uses peanut butter but you could certainly experiment with other nut butters. Maybe cashew or macadamia if you aren’t after a strong nut flavour. Thanks for visiting and let me know how you go with the recipes! In haste I then substituted whites of 2 eggs onto a recipe that uses about 450 g sugar plus 500g glucose and it isnât light and foamy so perhaps I need to add more egg whites. My previous experiments I found the opposite VERY sticky and un manageable. Have you got suggestions for something in between â light and easy to work with without being too sticky. I understand the âSally Williamsâ recipe originated from the middle east. Thanks again and looking forward to getting it right! The temperature of the glucose will affect the texture of the nougat. You can make it soft/chewy or hard just by altering the temp. If your nougat is still sticky and not set after 24 hours then it is likely the temp of the glucose is too low. Take care when using a candy thermometer that it is not sitting on the bottom of the saucepan. You want to measure the temp of the glucose not the bottom of the saucepan. Make sure all of your ingredients are measured accurately. I would recommend watching a few you tube videos. I find it a helpful way to learn. If you live somewhere with raging humidity then store the nougat in the fridge. If as you say chickpea water is toxic I the first one would been dead ages ago!